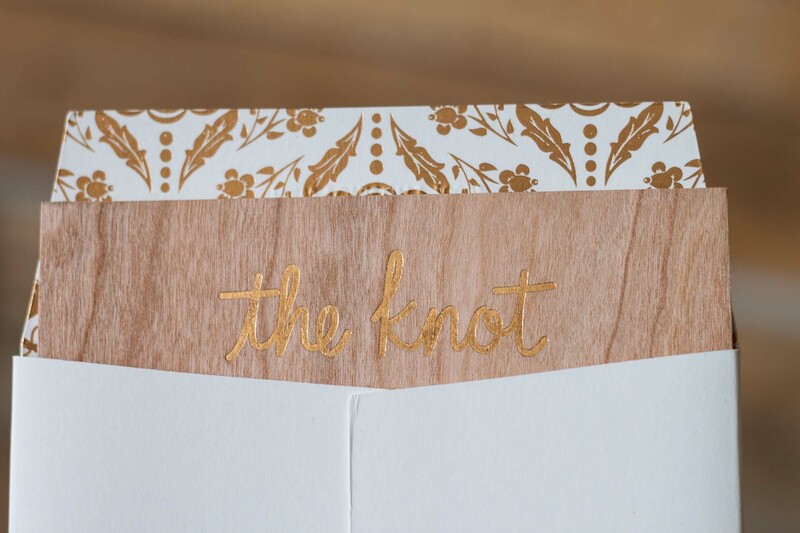 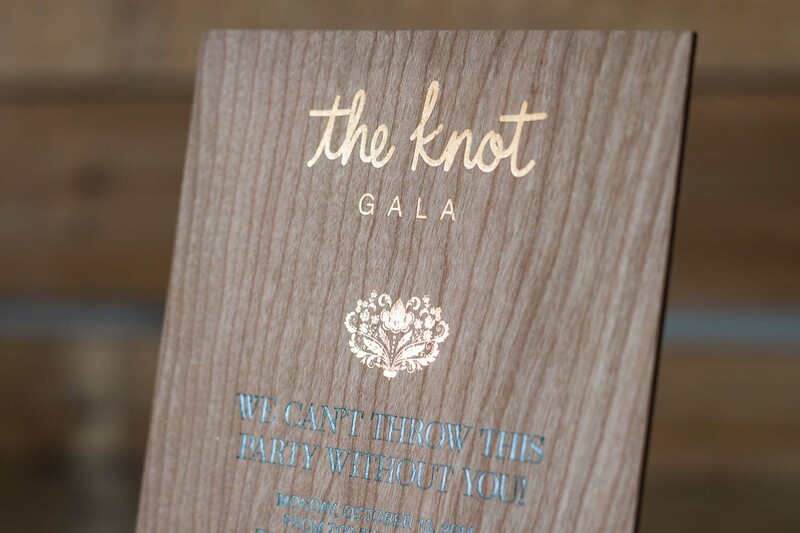 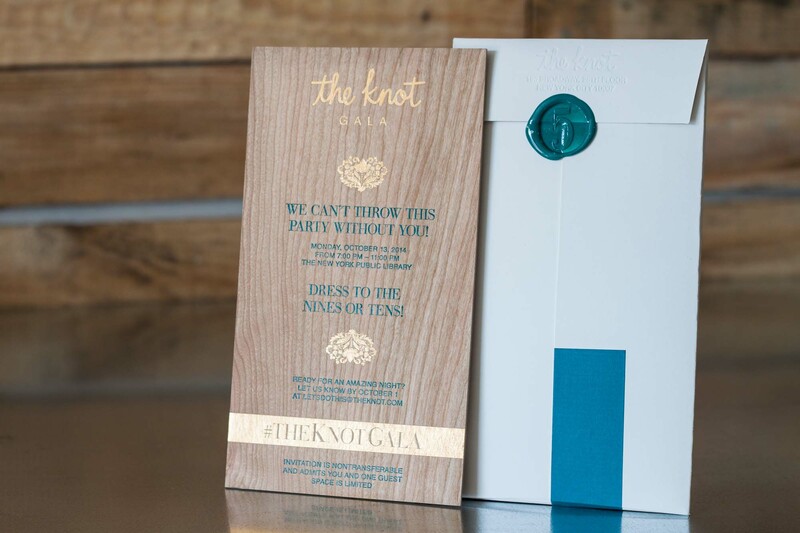 For the wood (five-year) anniversary of The Knot’s annual Gala in New York, we created this extra-thick cherrywood invitation in rose gold and teal foil. 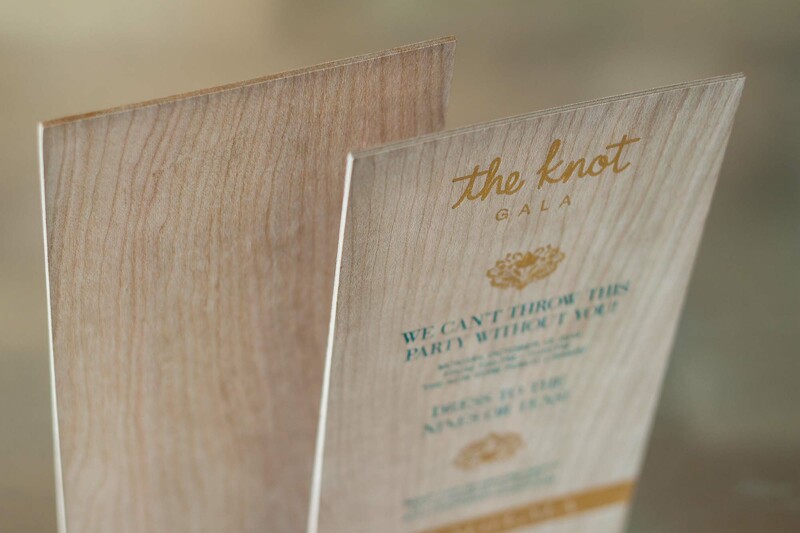 It’s a sandwich of furniture-grade cherry veneer and kraft paper that makes it light while maintaining a natural wood texture. 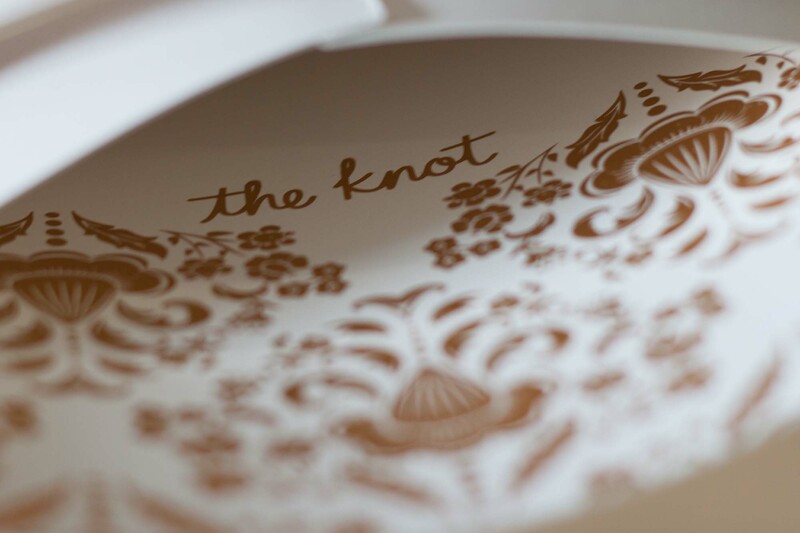 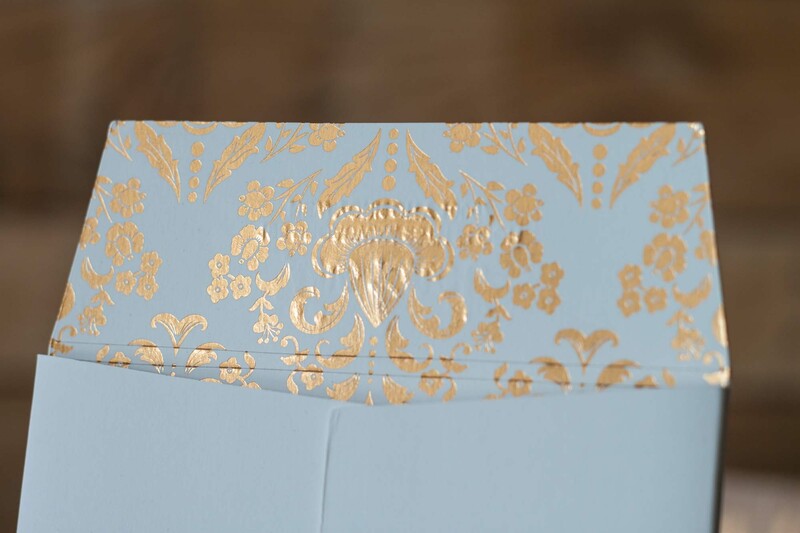 This super-thick (1/8″) invitation was enclosed in an incredible-feeling custom envelope/box made of 24 pt. 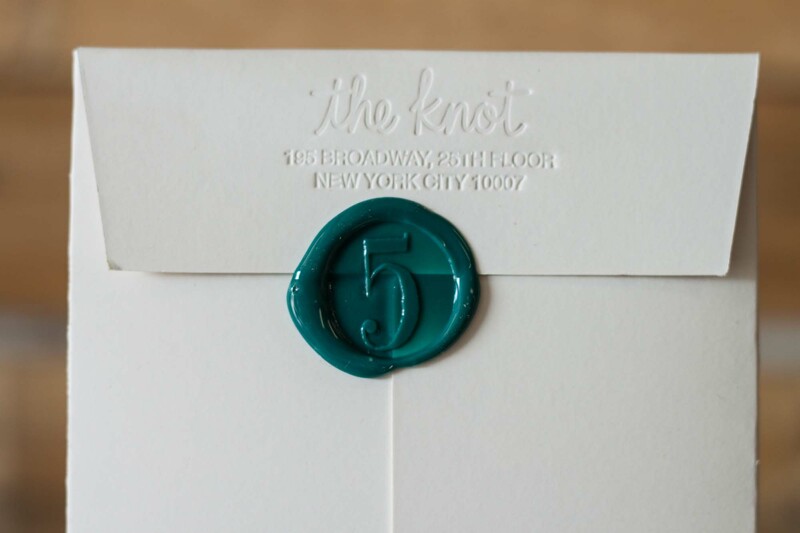 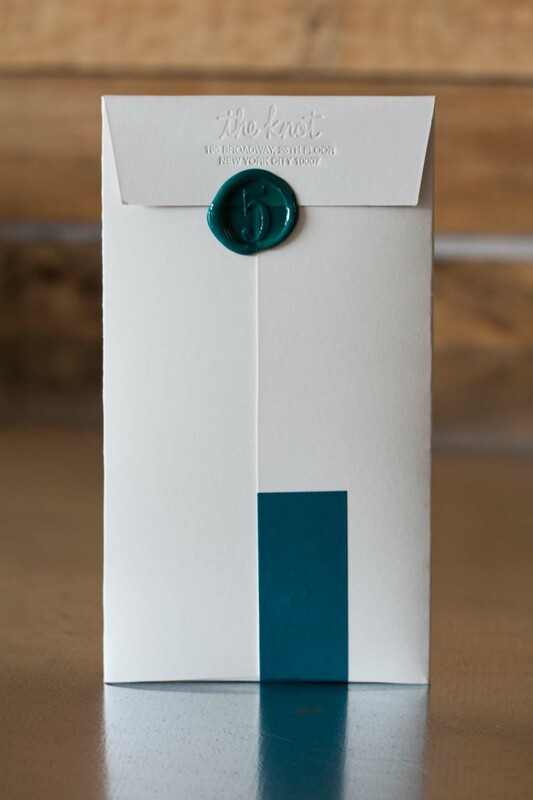 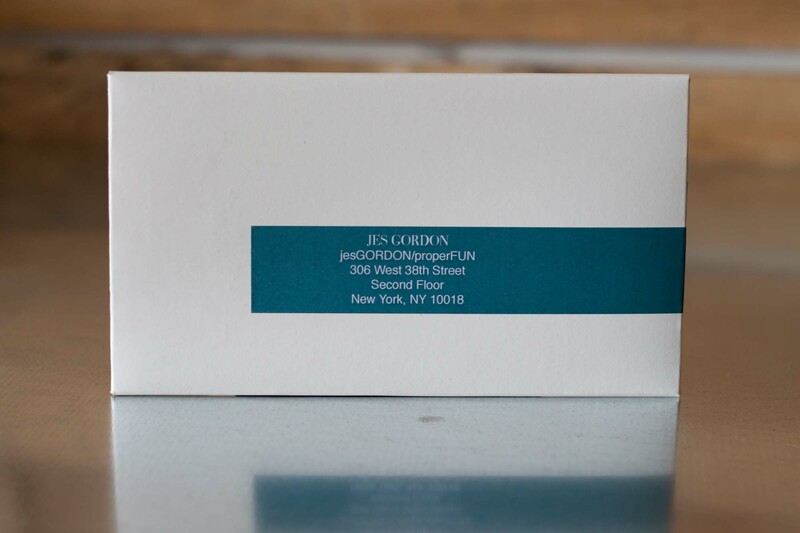 FiberMark Touché with a foil-stamped liner, blind impression return address, and finished with a teal wax seal.